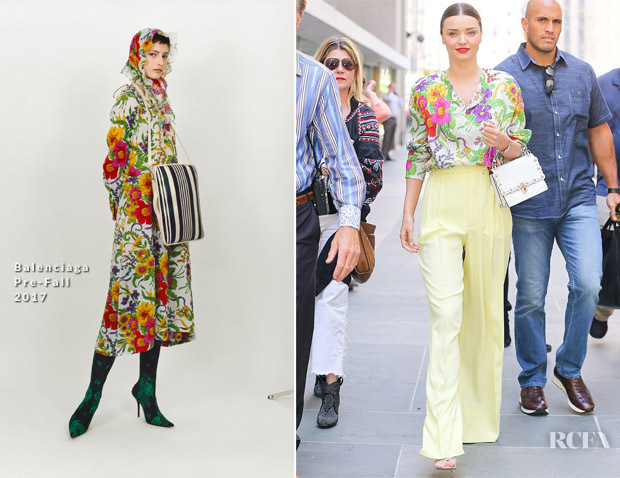 Keeping the summer feeling well and truly alive, Miranda Kerr radiated joy when she visited ‘The Today Show’ on Wednesday (September 13) in colourful separates. The model and entrepreneur discussed her recent nuptials to Snapchat CEO Evan Spiegel while sharing insight on the powers of crystals and how to project charisma. 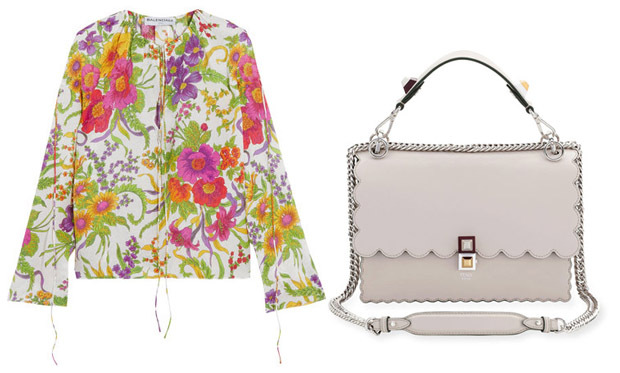 She certainly radiated charm thanks to her floral Balenciaga top tucked into soft yellow Celine pants. The white Fendi handbag and open Aquazarra shoes added to the appeal. The look makes me feel happier, especially since it’s punctuated by a bold red lip.